This is a brief “primer” of sorts for new or potential users wanting a quick overview of what the e-cig is and how it works. It also contains tips, tricks and tidbits that ALL vapers should be mindful of. The battery provides the power to heat the coil in the atomizer which in turn vaporizes the e-juice in the cartridge to produce the vapor that you inhale. The batteries are rechargeable (charger is included with kit purchases). Battery life varies depending on the battery size and how you vape. The standard eGo battery will usually last all day for a “moderate” vaping routine (pack a day cig smoker) while the 510 kit battery may last from 2-4 hours before requiring a recharge. Recharge time varies by battery as well- the 510 takes about two hours from dead to full charge and the eGo around 3-4 hours. Battery can generally be recharged for many months before they lose their ability to hold a charge. The battery is sealed, so it is less subject to damage from liquid, etc. The user can control how long the battery is activated. Excessive motion, wind and even loud noises can activate the battery whether you are using the unit or not. Batteries are NOT sealed, so they carry a greater risk of damage from spilled liquids, etc. The automatic sensors also deactivate the battery after a set number of seconds. A real drag when you’re in the middle of uh…a drag. Note that manual batteries can also be activated accidentally if you carry the unit in a tight pocket or purse, and they are also subject to water damage (like the washing machine kind *ahem*), but with a little common sense and care these issues shouldn’t be a problem. IMPORTANT NOTE: DO NOT DISASSEMBLE batteries as they can explode! Li-Ion e-cigarette batteries may not be disposed in standard household waste. Please properly dispose of used batteries in accordance to your community’s regulations. Because many recycling personnel may not recognize e-cigarette batteries as Li-Ion batteries, please label or mark your used batteries as “Li-Ion Batt” before disposing it in battery collector boxes. The atomizer is the heart of the unit where the e-juice is vaporized. One end screws into the battery and the other end accepts the cartridge. The atomizer includes the coil, wick, and bridge, which work together to create the vapor. Depending on the type of atomizer, these components may be exposed (the cartridge fits over them) or down inside the cone or cylinder “cover” (as in the atomizers pictured above). The coil (or heating element) is similar to a light bulb filament (though a little thicker and a little more sturdy); it’s the most important AND most fragile part of the system. The coil heats up when the battery is activated. This is the part that eventually “burns out,” requiring you to replace the whole atomizer piece. For that reason it should be considered disposable. Proper use and cleaning increases life span, but expect them to last anywhere from a couple of weeks to several months. How long they last depends on a number of factors (more on that later). The wick is a tiny piece of cloth-like material that the coil wraps around. Sometimes you can see the tip peeking out, sometimes not. It serves basically the same function as a candle or kerosene lamp wick in that it pulls the e-liquid from the cartridge into to coil. It’s very sturdy, but it CAN burn if you allow the cartridge and atomizer to run completely dry (and burnt wick creates a most unpleasant taste). If it becomes coated with dried e-juices it may clog up the atomizer making it harder to draw. Some people remove the wick to drip, but it is difficult to get to and you can easily break the coil in the process. A broken coil is a dead atomizer. New users should avoid attempting this (but it’s always interesting to disassemble and atomizer you’re about to throw out anyway). The bridge is a small piece of metal that covers the coil and wick, and the bridge itself is covered in a metal mesh. The mesh “holds” e-juice that’s drawn or wicked out of the cartridge, and the bridge protects the fragile coil from damage when inserting the cartridge. The mesh comes in direct contact with the filler material in the cartridge. It works together with the wick to “feed” e-juice to the coil. To some degree, the coil also heats the wire mesh, which helps in vaporizing the e-juice. Some people also remove the bridge to allow for direct dripping (not covered here, look it up on the e-cig forum to learn more) but this practice, like de-wicking is risky, and one false move can destroy your atomizer. Simply put, the cartridge is the part you put in your mouth. No magic here. It is simply a reservoir that holds the e-juice. The closed end with the tiny hole is the mouthpiece and the open end is what sets up against the atomizer. It contains a “filler material” (that’s FILLER, NOT FILTER) that holds the e-juice. You simply fill the cartridge with your chosen e-juice (making sure the filler material is pushed down level with edge of the cartridge), then insert the cartridge into the atomizer. Don’t push the filler material too far inside the cartridge though or it won’t come in contact with the bridge. When you pull the cartridge out you will notice an indentation in the filler material where the bridge has pushed into it slightly. This is what it is supposed to do. The cartridge itself could last you a lifetime (unless you chew on the end or drop it down the drain *ahem*). The filler material can be rinsed and reused numerous times as well, but eventually it will lose some of its juice-holding ability. You can replace the filler or the the entire cartridge. Some people use the same cartridge all the time; others use a different cartridge for different flavors. It’s up to you. Cartridges are cheap enough, so there’s no reason not to keep a box or two on hand. Some vapers use cartomizers. A cartomizer is basically a atomizer and cartridge combined into one piece. 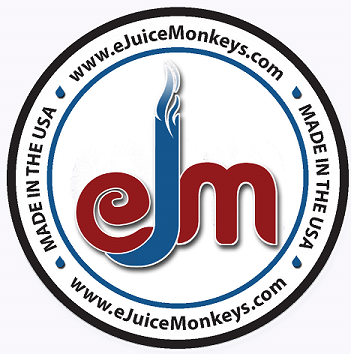 These are designed not to be refilled and are considered disposable once the e-juice is used up. Some people do manage to refill them, but in general, they are considered as one-time use pieces. There are dozens of ways to modify the cartridge and filler material as well as the atomizer (and yes, even the battery) to make it more efficient. There are more modifications, types of personal vaporizers, and ways of using them than you can even imagine. Just check out the e-cig forum and experiment to your heart’s content. Most vapers find that the personal vaporizer becomes more of a HOBBY than a HABIT. DON’T put the battery in the dishwasher, washing machine, car wash or steam cleaner, use it for a weapon or try power your IPOD with it. It’s tough, but it can be rendered lifeless if not properly respected and cared for. DON’T leave a battery unattended while charging or just laying if small children (or even big children) or pets can get to it. It IS an electronic component containing a charge, and it should be treated as such. DON’T do any of the above with the atomizer either. It is the heart of the system and the most fragile by far. Try not to drop it, to. Severe jarring can interfere with electrical contact (so the coil doesn’t heat up). Protect it like you would any sensitive piece of equipment. It contains NO charge or electricity unless the battery is attached and activated, but after using it it DOES contain e-juice which can be a poison to small children even in relatively small amounts. DON’T poke or prod around inside the cartridge side of the atomizer unless you know what you are doing and even then you should have spares for the same reasons mentioned above. DON’T use air compressors (*ahem*), compressed air or any other type of forced air process to dry the atomizer after cleaning. Blow it out and let it air dry or, if you can’t wait, add two or three drops of e-juice to the cartridge side before inserting a cartridge. Water doesn’t vaporize very well, and though it won’t damage the atomizer, if there’s too much left , it can make you think it’s damaged. DON’T leave a full, partially-full or used cartridge or filler material laying around where children or pets can get to it. If you use nicotine in your e-liquid REMEMBER THAT NICOTINE IS A POISON. It’s safe when used properly, but can be deadly to little people and animals in relatively small amounts. Nicotine absorbs VERY rapidly through the skin, tongue, etc., and by the time you wipe it off or wash out their mouth it may already be too late. DON’T drink, inject, snort or otherwise partake of pure nicotine juice. In concentrated form, it can also make ADULTS sick, plus it tastes like crap by itself (as do the concentrated flavorings used to make the e-juice, though these are not toxic). DO DISPOSE OF LI-ION BATTERIES PROPERLY! Li-ion batteries are not to be disposed of in regular household waste and need to be recycled or disposed of according to your community’s regulations. DO PROPERLY DISPOSE OF all vaping equipment, bottles, etc. properly so as not to contaminate the environment. DO keep spare batteries, atomizers and cartridges available in case you DON’T adhere to the above warnings (and you’ll eventually need them anyway). Atomizers don’t usually give a warning before they go out, and even when they do, it’s usually short notice. You don’t want to find yourself vaporless and considering a run to the corner store for tobacco. DO clean the atomizer occasionally, especially when storing them for any period of tie. The residual e-juice can dry out inside and clog it. The simplest, safest and quickest cleaning method is just to rinse it thoroughly under warm running water, blow it out with your mouth from the battery end, and let it air dry. DO rinse out a NEW atomizer before use and blow it out thoroughly to remove the “lubricant” that it is shipped with. This lubricant is non-toxic,but tastes horrible. It takes longer to clear out the taste if you don’t do this prior to first use. DO check out websites and e-cig forums for TONS of information on every conceivable aspect of owning and operating a personal vaporizer (see our Links Category on the right). DO contact your vendor if you have any questions or need help using or understanding your personal vaporizer. We want you to be happy with your purchase and will do all we reasonably can to answer questions, give advice or find information. We want you happy and successful in your vaping experience (and we don’t mind that you recommend us to friends). Pull the filler material out of a new cartridge and cut it in half. The cartridge will hold more juice and you’ll have extra filler material for later use. Take the filler material out before filling the cartridge, then fill the cart most of the way to the top before replacing the filler material. This ensures the cartridge is full. Play around with this idea until you learn how much e-juice is enough without it spilling out everywhere when you re-insert the filler material. Wear gloves when working with the e-juice or cartridges to prevent getting it on your skin, as it absorbs rapidly through the skin. If you DON’T wear gloves, at least wash your hands thoroughly anytime you get e-juice on them. Be safe, not sorry. If you don’t rinse out the atomizer between flavor changes (or even if you do), add three or four drops of the e-juice directly to the atomizer bridge before inserting the cartridge. This will help to get rid of the old flavor faster and clear any residual water from the atomizer after cleaning. Try to be discreet when vaping in public. It’s still pretty new and some people may think you’re smoking or doing some kind of weird drug if they see you. We want to educate the ignorant, not scare or offend them. If anyone asks what you’re doing, tell them the truth and explain it as best you can.